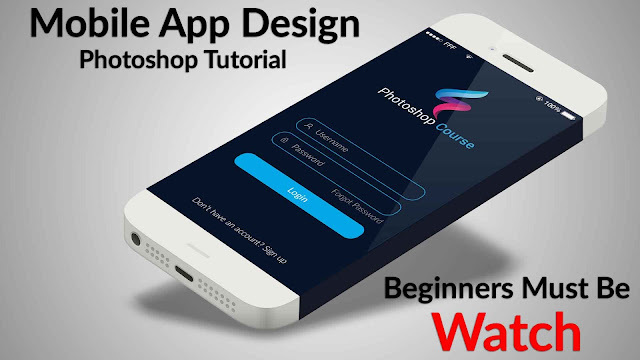 Today's Photoshop tutorial you can learn UI/UX Design tutorial in Photoshop Mobile app login Page. I designed the app to fit an iphone 6. The design of the app is a little flat, based on colors.This mobile app design tutorial shows you the general process and steps for creating a cool mobile app. I've got another Sketch App tutorial for you all today. I've been getting more and more requests to make these videos ( thanks for the feedback). In this tutorial I walk you through my process of designing and prototyping with Sketch's new Prototyping feature that was released in Sketch 49. So make sure you update your Sketch! I'm hoping to create some Adobe XD tutorials soon as well, but I'm still getting comfortable with the software and I want to make sure I have enough knowledge around that program before I jump into videos. Thanks for the love everyone!